It’s been a long time since the early days of anarchist thought, and I find, quite disappointingly, that it is often misunderstood, misrepresented, or just not known about at all. In fact, I imagine that when many of you hear the word ‘anarchist’, you think of either a teepee-living, dreads-donning hippy, or a masked, hooded thug throwing a flaming bottle through a shop window. And honestly, I cannot blame you. Political theory surrounding the left is often incredibly over-generalised, and today is no exception. ‘Marxist’ and ‘far-left’ being two of the many name tags stuck onto a great deal of those who are either economically left or too socially liberal. This rather gigantic propaganda effort, which has been propagated by many a wealthy influence, has forged this particular image of the left as being the home of the teenage radical, the envious, the unrealistic, or of the ‘social justice warriors’. This is where the book, which has taken me two paragraphs to introduce, comes in. 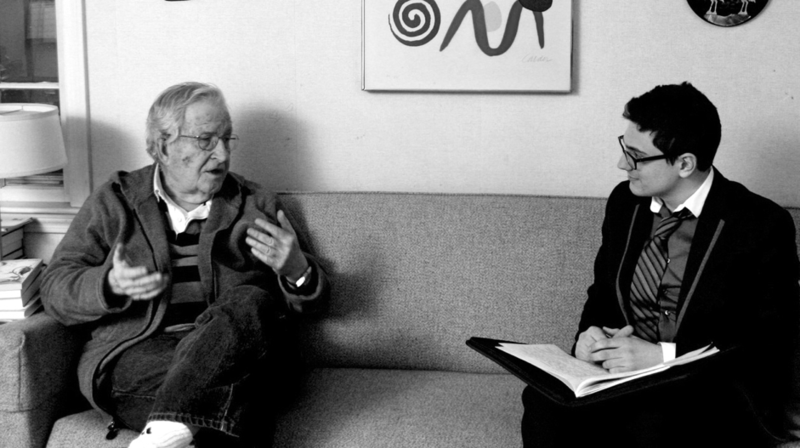 How The World Works is, first and foremost, a masterfully edited and condensed collection of interview transcripts, in which Chomsky, and the interviewer David Barsamian, cover the whole breadth of his political theories. This includes, but is in no way limited to: US foreign policy; neoliberalism; religious fundamentalism; global inequality; the roots of racism, and the CIA. A grand collection, no doubt, and one that will surely get you to grips with his work much more comprehensively than say, having to read about forty to fifty of his books. Reading it brings to life a radically left perspective on the world in a way that does not appear outrageous or pure conjecture, but is cemented in real-life events, experiences and knowledge. You will not be pushed into a myriad of complex explanations on how a post-capitalist, anarchist system would work, but instead will be introduced to a more general, anarchist way of thinking. 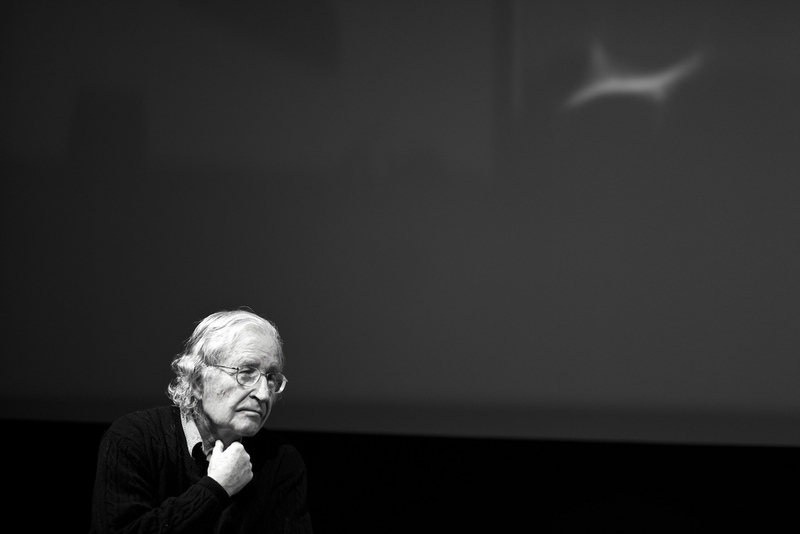 Chomsky will persuade you into challenging all forms of power, to be distrustful of the rhetoric portrayed to you by those at the top. But most of all, he will encourage you to organise and prioritise the democratic, individualistic elements of human life. If I am to offer any criticism, I will mention two things. Firstly, the transcripts are often from the ‘90s, and therefore will not cover current affairs. Secondly, that often enough he will be talking about the US, being an American intellectual, and so you will not find a specific analysis on the actions of the UK and Europe. However, I would not let this deter you, for many general subjects are covered. The events and structures that he criticises can be found all over the world and throughout all recent time periods. Corporate corruption, threats to democracy, and the manipulation of world terror are three distinct examples of universal issues. So, no matter your political alignment, give it a go. Delve into the world of anarchism and see where it takes you. Explore a side of the left that is relatively unknown and not talked about in political circles. Broaden your horizons, and then go on to read Bakunin, Kropotkin, and start supporting the Spanish CNT – but perhaps I am getting ahead of myself.